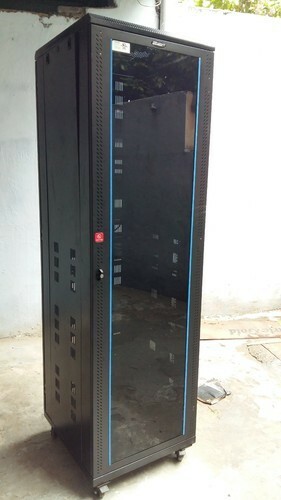 Leading Supplier from Delhi, our product range includes Server and Networking Racks such as Aluminum Networking Rack, Floor Mount Server Steel Rack, Wall Mount Single Section Rack, Floor Mount Server Rack, Open Rack Networking Rack, Wall Mount Server Rack and many more items. Open Networking Rack - Netrack for high density application for networking, Labs, Data centers. The Racks made of rugged aluminum profile, individually Powder coated and bolted. • Standard for Racks configuration will be bolted frame with 2 or 4 post. 4 post will have adjustable steel folded depth members to adjust the depth to meet site requirements. • Available in 25RU, 36RU, 42RU and 45RU variants. 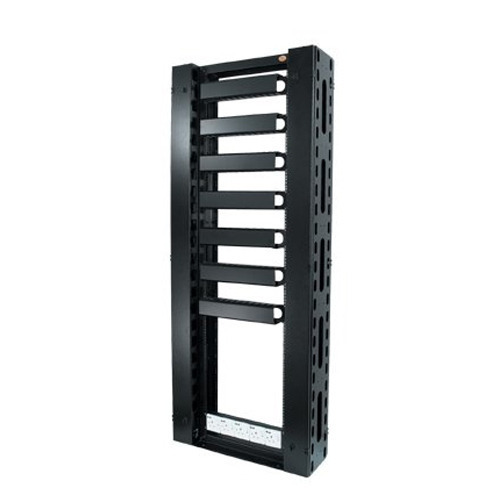 Wall Mount Server Rack - Netrack, general electronics racks for small networking, Audio Video, Telecom and Lab Application. Racks manufactured out of steel sheet punched, formed, welded and Powder coated. 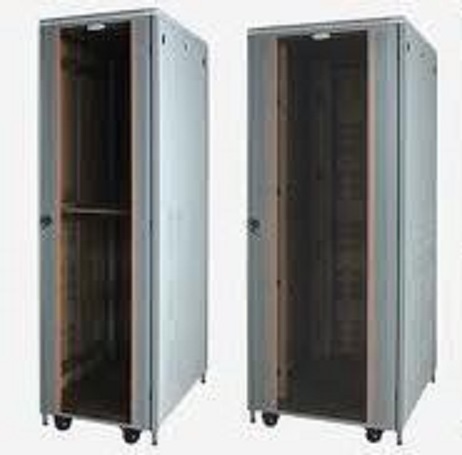 Netrack Server Rack Steel Series, General Electronics Racks for Servers, Networking, Audio Video, Telecom and Lab Application. Racks manufactured out of steel sheet punched, formed, welded and Powder coated. 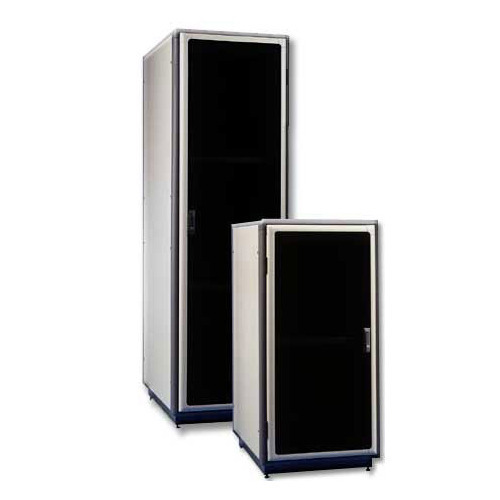 - Standard for Racks configuration will be welded frame integrated with side panel and vented top cover with fan mounting provision, associated front glass door with lock & key and Back Metal Door with lock & key and freestanding on floor with 4 No. casters wheels with 2no. with brakes and 2 no. without brakes, Optional Levelers. - Available from 6RU to 42RU Variants with 600mm, 800mm and 1000mm depth configuration. - Available in 42RU Variants with 650 mm, 800 mm, 1000 mm and 1200 mm. Deep configurations and 600mm and 800mm width configurations. Netrack Wall Mount DVR Rack, general electronics racks for small networking, Audio Video, Telecom and Lab Application. Racks manufactured out of steel sheet punched, formed, welded and Powder coated. 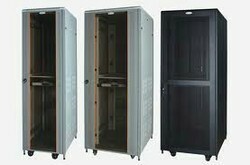 We are offering a qualitative range of Customized Server Rack which is designed using steel sheet punched, formed, welded and Powder coated. 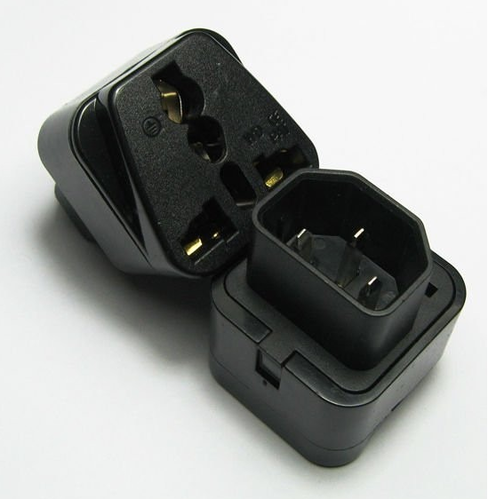 These products are durable in nature and presented to the customers in many technical specifications. In addition to this, these products are used for various Servers, Networking, and Audio Video applications. Netrack High Density Server Rack Enhanced to Handle high Volume of cable where in customer corporate policy insists on Closed Racks. The Racks manufactured out of formed steel farmed & profiles, welded and power coated with highest quality standards. Manufacturing & Quality management system to ensure highest quality product. Standard for racks configuration will be all Steel CKD design additionally supported depth wise by welding 6 no 4 folded profiles. Associated with top cover having provision for Mounting Fan Modules and Unique cable entry and Exit cut out to handle High Density Cable, Front and Back perforated metal Dual door with lock & key and Plain/ vented dual side panels. 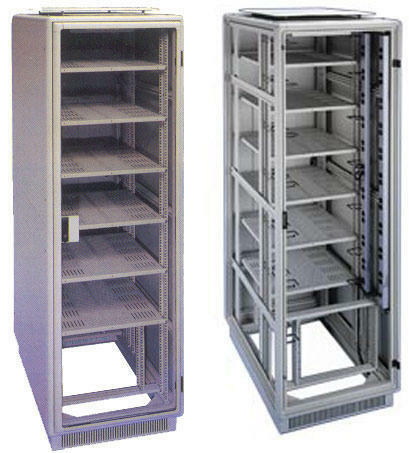 High Density Closed Racks are supplied with high density Cable Frames 2 No of 6 inch in 900 wide and 2 no of 8 inch in 1000 wide. Available in 42U 900X1200 and 42U 1000X1200. 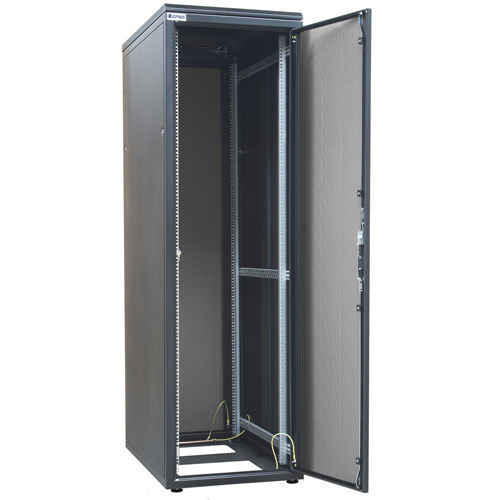 Open Netwotking Rack- Netrack for high density application for networking, Labs, Data centers. The Racks made of rugged aluminum profile, individually Powder coated and bolted. • Available in 22RU, 36RU, 42RU and 45RU variants. 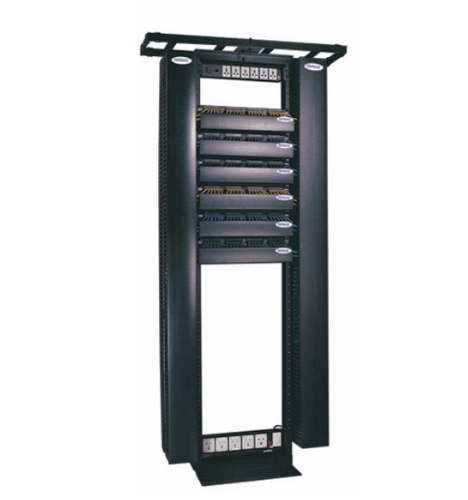 Wall Mount Rack - Single Section Series, General Electronics Racks for Small Networking, Audio Video, Telecom and Lab Application. Racks manufactured out of steel sheet punched, formed, welded and Powder coated. • Variants with 400 mm, 500 mm and 600 mm depth configurations. • Available in 42 RU Variants with 650 mm, 800 mm, 1000 mm, 1200 mm Deep configurations, 600 mm and 800 mm width configurations. 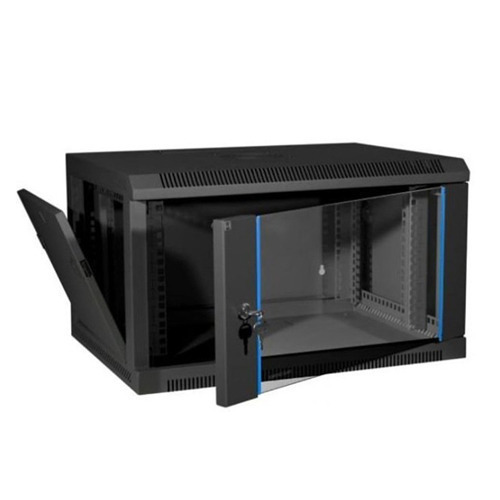 We are the leading name in the market engaged in offering a wide assortment of Floor Mount Server Rack, which is used for Servers, Networking, Audio Video, Telecom and Lab Application. Entire ranges are made under the strict assistance of best quality controllers. We are offering these products at the nominal market price. These products are highly acclaimed due to optimum grade raw material and perfect dimensions. 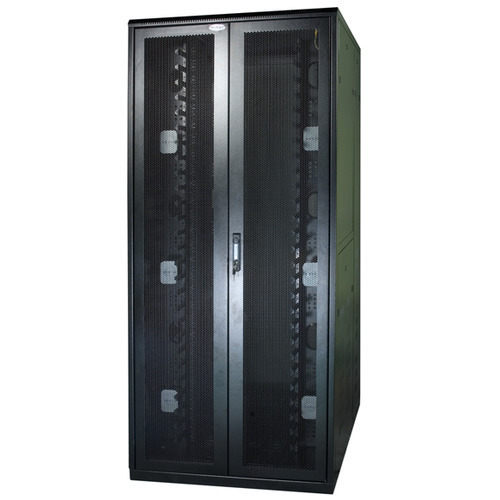 We are offering a wide range of Floor Mount Server Steel Rack to our respected clients. Our offered products are made from top grade components which bought from our certified vendors of the market in compliance with set industry standards. These offered products have vented top cover with fan mounting provision, associated front glass door with lock & key and Back Metal Door with lock & key and freestanding on the floor. We are a renowned and customer centric firm, which is engaged in delivering a comprehensive range of Floor Mount Network Rack - Netrack. The offered range of product is available in different specifications such as sizes and can also be made in accordance with the requirements of our esteemed patrons. Apart from this, we have a standard for Racks configuration and offer with welded frame integrated with side panel. 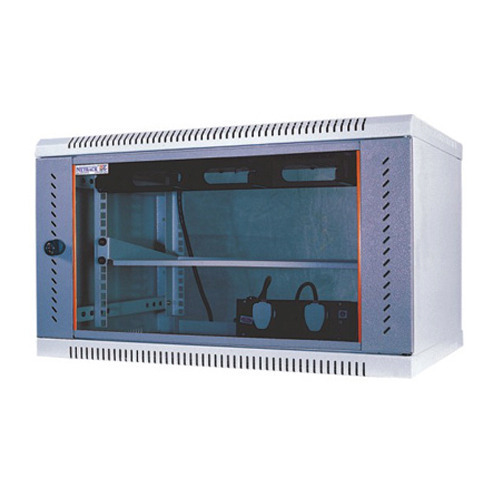 Wall Mount Rack - Double Section Rack Series, General Electronics Racks for Small Networking, Audio Video, Telecom and Lab Application. Racks manufactured out of steel sheet punched, formed, welded and Powder coated. Owing to the several years of industrial presence and knowledge of this domain, we are indulged in offering to our patrons a broad spectrum of Aluminum Networking Rack - Netrack. Our offered ranges are used for Servers, Networking, Audio Video, Telecom and Lab Application. Apart from this, offered racks are made from top grade components which bought from our reliable vendors of the market in compliance with set industry standards. Looking for “Server And Networking Racks”?